One of the biggest decisions you will have to make when it comes to buying a new car is how you are going to get the money to pay for it. The majority of people will have to think about finance options in order to make the purchase and when it comes to car financing there are many ways you can choose to go. One of the most popular ways that many people choose to take when it comes to buying their car, simply because it is the quickest and easiest option the majority of the time, is taking the finance options available at the dealership where you buy your car. The finance professionals at Toyota of Goldsboro are ready and willing to get you into the new Toyota or pre-owned vehicle of your dreams. Your credit rating and the monthly payment you can afford is has a direct impact on what car and options you can purchase. What you’re buying also has an effect on the terms of the loan. The price of the car, your trade-in value, down payment and whether it’s new or used will also have an impact on the interest rate and the length of the loan. Before undertaking a major purchase such as a house or car it’s a good idea to take a look at the credit reports and scores from all three agencies. You’ll want to be sure there are no errors, and if you’ve had some difficulties in the past you’ll want to be prepared to explain the circumstances that lead to them. Under federal law, you’re entitled to a free copy of your credit report from each agency once a year. However, credit scores don’t fall under that requirement. But the cost of obtaining your score isn’t expensive and worth doing so you know what to expect when shopping for a loan. For your convenience, the Finance Department at Toyota of Goldsboro offers you online options to make your finance experience easier. Begin by using our online Apply for Credit tool, which will allow you to find out whether or not you’re approved for the vehicle you want. Then, use our handy Payment Calculator to ensure that your new Toyota’s payments fit squarely in your budget. 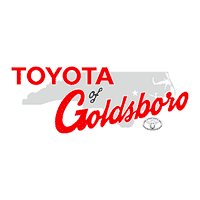 The Finance Department at Toyota of Goldsboro can be reached by phone at (919) 778-3232. Residents of La Grange, Wilson, Kinston, Clayton, Goldsboro and the surrounding area can stop by the dealership, located at 301 N Oak Forest Rd, Goldsboro, NC 27534.